Brain fog could be described as, when you feel fatigued, empty, where you find that you have trouble focusing and concentrating, for even short periods of time. You know, when your train of thoughts is all over the place, you experience bad moods and you just feel as if you're stuck in a daze all the time, you may have trouble with your memory recall and you generally don't feel yourself. If some of these apply to you, then all is not lost, because by making a few healthy lifestyle and diet changes, you can make your mind more focused and sharper, boost your performance levels and unleash your true powers and potential. In this fast pace world, many of us have lost connection with who we really are, and our natural way of healthy living. Poor diets and unhealthy lifestyles, combined with all people's emotional issues have caused many people to have a disruption in their body's energy and physiology. Many people are struggling with emotional, physical and mental issues, there is a direct link between mental well-being and physical well-being. 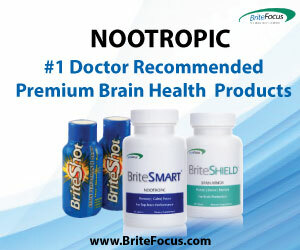 If your body is balanced, supplied with good nutrients and working efficiently, then your mind will match it. Nutrients and, sleep and relaxation are required for restoring your energy levels and improving your emotional and physical well-being. Some of the things that we rely on, to give us more energy are actually not very good for us in the long run. Things that can be bad for our brain functioning can be, too much sugar and caffeine, and too much tension and adrenaline. Many people are unaware of how their lifestyle is connected to how they are feeling and how well their brains and body is functioning. If you take a look at animals living in the wild, then you will notice, how they are in peak condition and they are at their optimal health and fitness. They are usually healthy, and they remain at their natural weight and physical peak, they eat what they are naturally meant to eat, and they know how to conserve energy. They rest when they need to rest, they don't spend all their day racing about, they go to sleep at their natural sleep time, and they don't spend all their day worrying. The secret to having good brain health and having your body in a calm and relaxed peak performance state requires you do two things. You stop doing or consuming all the things and stuff that are bad for you or the things that you should not be doing and you start doing or adding all the things that are good and healthy for you. We all need a certain amount of nutrients to survive, and for our minds and body to thrive on and function optimally and at their peak efficient best. If you are lacking in the required amount of nutrients then it can affect your ability to live the highest quality life that you can possibly live. If you find that you have trouble concentrating, focusing or you are having trouble with your having minor memory troubles. Or if you have mood swings or if you feel tired, fatigued and you lack energy, then this could mean that you may be deficient in some of the essential key nutrients. To perform at our peak efficient best, where our body is balanced and running smoothly, it needs an adequate amount of nutrients and omega 3 good fats, combined with the right amount of good carbs, fiber and proteins. These days, many people live in a society and environment full of fast living, deadlines and stress. Too much stress and tension makes it hard for us to engage and perform socially, it blocks our creativity, plays havoc with our focus and concentration levels and interfere's with our memory functioning, not to mention the harmful effects on our health and well-being. Stress affects our appetite, it leaves us feeling tired, exhausted and overwhelmed and it is not how we are supposed to live our lives. Stress is designed to motivate us and help us in an emergency to help us escape from a dangerous situation, but you are not meant to spend most of your time stuck in a state of stress. Stress depletes your body of it's vital vitamins and minerals, stress also cause toxins in the body and it disrupts and throws your body out of balance, making it difficult for you to focus, perform and function at your peak performance best. If you feel stressed then you need to make some healthy lifestyle changes, so you can learn how to manage and keep your stress levels down to the absolute minimum. Failing to control your stress levels can result in inflammation in the body, which is the root cause of many illnesses, and it is potentially dangerous to your health. Poor lifestyles, bad and unhealthy diets, worrying and a lack of activity and relaxation are some of the reasons why people feel stressed way too much, as they can lead to an imbalance in the body and disrupt our hormone levels. Other things that can disrupt the your brain efficiency are food intolerances, allergens and sensitivity. Everybody is different and while some foods might suit some, for others they can cause inflammation in the body. Some of the well know foods that can cause food sensitivity are gluten, soya and wheat. Many people are unaware that they have a food intolerance, some of the symptoms can range from skin conditions, bloating, weight gain, mood fluctuations, mood swings, irritable bowel and fatigue. Just by making some healthy lifestyle changes, and going on a short detox for around two weeks. Where you try eliminating some of the possible foods that you think or are sensitive to, combined with eating good healthy foods that are rich in omega three and nutrients, can soon have you feeling refreshed. The new, younger and able you will be able to think clearly, you will be able to focus for longer periods of time, you will feel more energized with a sense of clarity and an attitude that you have no limits. Supply your body with anti stress nutrients and it will replenish your body with all the vital nutrients that are essential for good health and brain functioning.